Tanzanian National Bureau of Statistics reported 71.7% of women in urban areas are unemployed or make less than $1 a day. The few women that venture into business, their businesses remain stagnant and 70% fail within 2 years. Dar es Salaam is one of the fastest growing cities in the world, but women and youth unemployment continue to rise; Dare es Salaam needs entrepreneurship and easier paths to higher education. Shear Illusions and Manjano Foundation have developed a business model that creates jobs, contributes to poverty reduction and at the same time improve its business performance. This business model contribute to the social and economic empowerment of young women living in urban areas in Tanzania. 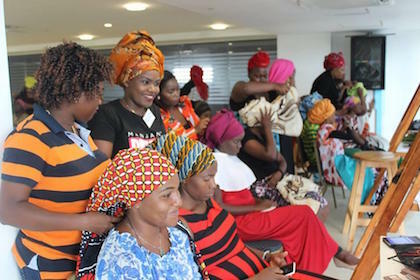 Last year, the Manjano Foundation provided free training to more than 200 women from 5 different districts and provided them with starter kits of LuvTouch Manjano cosmetic products to start their own cosmetics businesses through mentorship, executive coaching, training in business skills and motivational talks. 22 women already earn over $1000 USD per month. Congratulations to The Manjano Foundation in Tanzania!